To reinstall Projetex, your current copy of the program should be uninstalled first. Then you will be able to install the product once again. 1. Run unins000.exe from the Projetex installation folder (Picture 1). 2. Proceed through all steps from the Installation Wizard. 2. 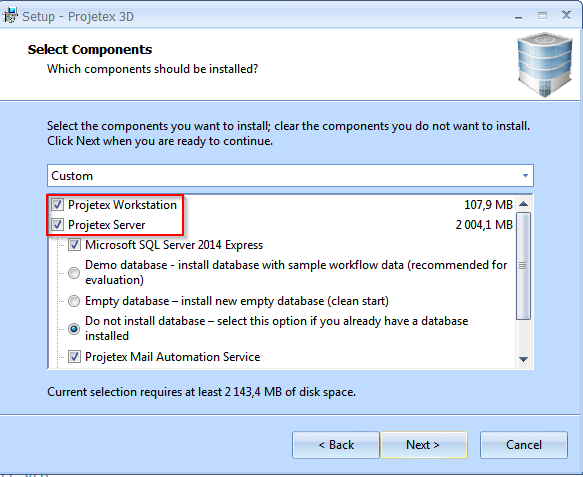 Run the Projetex installation file and proceed through all steps of the Installation Wizard. Select only the components you want to install on this particular machine (Picture 2). 3. In case you already have a database in place, you can choose any option from "Do not install a database", "Install an empty database" or "Install a demo database". You current database will not be replaced with a new one. So, it is completely safe. 4. Activate the program using your serial number.